The newly created SkyUp will start operating from April 2018 and plans to service international charter flights in its first year of operation, as well as launch regular domestic and international flights. According to a press release spread before the presentation of the airline, charter flights in 2018 will be from Kyiv, Kharkiv, Lviv, Odesa and other Ukrainian cities to 16 destinations. Among these destinations are Antalya, Bodrum, Dalaman, Sharm el-Sheikh, Hurghada, Tivat, Barcelona, Palma de Majorca, Tenerife, Alicante, Tirana, Rimini, Burgas, Varna, Larnaca and Dubai. The domestic flights will be launched at the end of May or early June and at the first stage they will be serviced from Odesa to Kyiv, Kharkiv and Lviv. International regular flights in 2018 would be serviced from Kyiv to Barcelona, Dubai and Larnaca. General Director of the airline Yevhen Khainatsky said during the presentation that ticket sales for the first flights will be launched in March-April 2018. "We are open to cooperation not only with airlines, but with the tourism market," he said. Only for incomplete 2018 the airline seeks to serve about 650,000 Ukrainians. 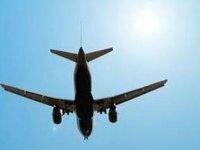 Answering a question of Interfax-Ukraine about getting assignments to the routes, Khainatsky said that applications for receiving assignments for regular flights will be submitted in accordance with the legislation. "We are now passing certification in the State Aviation Service, and in March, when we receive the operator's certificate, we will submit an application and participate in a tender," he said. Minister of Infrastructure of Ukraine Volodymyr Omelyan who was present at the presentation greeted the company. He pointed out the importance of the fact that SkyUp will service domestic and international flights and will operate using a low-cost model, being a company with 100% Ukrainian private capital. The airline said in a press release that the cost of the ticket will be formed using a low cost model without luggage and additional services. It will depend on destination and time of buying the tickets. For example, for Kyiv-Odesa a one-way ticket would cost from UAH 499. The founder and co-owner of the airline Yuriy Alba said that first the share of charter flights will be larger than the share of regular flights. "Thank to the fact that charter flights are not loss-making in advance, the airline would start the pay-off process," he said. Commenting on the airline's fleet, Khainatsky said that today its fleet consists of three Boeing 737-800 NG Boeing 737-800 NG planes with 189 seats manufactured in 2001, 2002 and 2011. In 2018, the airline seeks to bring the fleet to four planes, in 2019 – to six, in 2020 to eight, 2021 to ten and 2022 to 12 planes. The airline intends to expand its fleet also with Boeing 737MAX planes. "SkyUp is currently negotiating with all Ukrainian airports on cooperation. agreements with the Kyiv and Boryspil airports have been signed. In Kyiv, we will operate from two airports," Khainatsky said. Besides, when answering the question about possible cooperation with the leading Ukrainian air carrier International Airlines of Ukraine (UIA), Alba said that he was almost sure of it. "We, first of all, do not want to be separated or isolate ourselves. Cooperation is always constructive. There will be competition, but I want it to be fair. Competitors should be colleagues and partners and find joint interests. So we will have code-sharing agreements with UIA and will carry out joint flights and transport passengers. This does not mean that I do not rule this out. I'm sure it will be happening," he said. SkyUp airline was registered in Kyiv in June 2016. The founder of SkyUp was ACS-Ukraine LLC belonged to Tetiana Alba and Yuriy Alba, who also own the JoinUp! tour operator.